Pokemon GO is now the most popular gaming app of all time, millions of players are embarking on their own Pokemon journey. As the battles between the 3 teams unfold, each trainer is dedicated to catching and producing the strongest Pokemon they can find. For many, their strongest Pokemon are whichever they have evolved or upgraded the most, whereas each Pokemon has their own stats and max amount of stats they can reach. You’ll find a list of the 10 strongest (non-legendary) Pokemon below, based on the total amount of stats they have. Each entry also contains the CP needed to power them up! Nidoqueen is a fairly rare Poison/Ground type Pokemon that is one of the strongest in the entire game. It boasts strong attack/defense stats with a reduced HP pool. Obtaining a Nidoqueen is challenging as the required female Nidoran Pokemon is quite uncommon. This Water/Fighting type Pokemon can be easy or difficult to obtain, depending on your location. If you’re close to water, Poliwags are common and easy to catch. You require a whopping 100 Poliwag candies to upgrade your Poliwhirl though. Like Nidoqueen, Poliwrath has a high attack stat and a considerable defense stat. The HP leaves much to be desired but there’s no doubt that Poliwrath is a formidable Pokemon for your team. One of the ugliest and most disturbing Pokemon ever created is also a very strong Pokemon stat-wise. Its stats are packed into attack which allows it to hit hard. 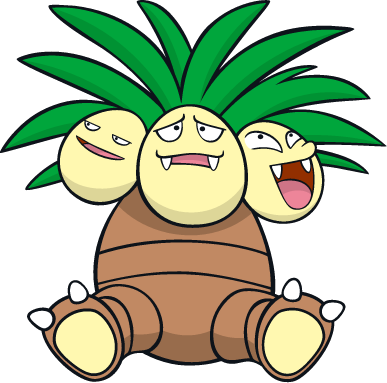 Exeggcute candies are required to obtain Exeggutor, 50 of them to be exact (unless you’re insanely lucky and find one in the wild). Muk boasts an above-average HP amount with decent attack and high defense. 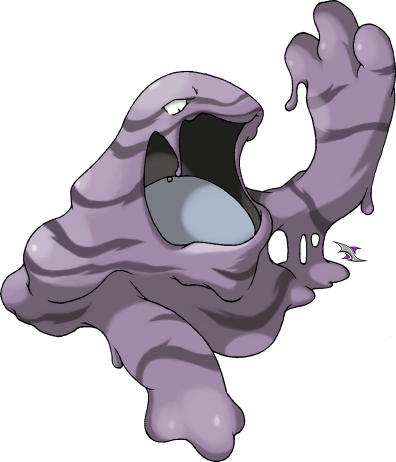 Like the previous entry, you need 50 Grimer candies to evolve a Grimer into Muk, not the worst task but it’s not easy in a lot of locations. It’s definitely worth trying to add a Muk to your roster if you find a location that is rife with Grimers. Gyarados is the biggest grind to obtain as you need to save up 400 Magikarp candies. If you spend a lot of time near water then you can get a Gyarados quite quickly but for those who rarely come across water Pokemon locations, they won’t be seeing a Gyarados for a while. This Water/Flying (a Flying type that can’t even learn fly..) has a large amount of base stats across the board and is well worth the grind. It’s quite crazy to think of how easy it is to obtain such a strong Pokemon. Vaporeon is probably the overall best Pokemon in the game as it requires just 25 Eeevee candies to obtain. All 3 of the Eeevolutions are strong but Vaporeon is in a class of its own as it has DOUBLE the base HP of its Fire/Electric counterparts. Arcanine has one of the highest base attack stats in the entire game, it’s another Pokemon that is obtained by evolving it’s previous evolution after 50 Growlithe candies. Arcanine lives up to its name of being a pseudo-legendary as it has considerably high stats. Make sure you tread carefully when you challenge a gym that contains an Arcanine. This water transport Pokemon has been a rare and powerful creature for as long as Pokemon has been around. Being an Ice/Water type, it can hold its own against a variety of other types. It focuses mainly on HP and defensive stats which means it can out-last almost any other Pokemon in the game. Another rare and powerful Pokemon, Snorlax has the second highest HP in the entire game, only behind Chansey. The difference between Chansey and Snorlax is the fact that HP is the stat that Chansey has going for it, Snorlax also has some good attack and defense stats. The number 1 spot goes to the Pokemon which is literally the second strongest Pokemon (in terms of base stats) in the entire game, even ahead of the Legendary Birds and Mew. It has average HP but hits hard and doesn’t take much damage, due to its incredibly high attack and defense stats.